After writing of the execution in Borgo Sansepolcro of the Christ in Glory for Città di Castello (P.20), Vasari (1550, 802-803) went on to say: “In quel medesimo tempo che tal cosa faceva, disotterrò de’morti nel vescovado, ove stava, & fece una bellissima notomia” (the same in Vasari, 1568, II, 109; Vasari-Milanesi, V, 166). This period was between September 1529, when he fled Arezzo, and April 1530, when he departed for Venice. The bishop’s palace was then still occupied by Rosso’s friend Bishop Leonardo Tournabuoni, who had earlier received the artist when he arrived in Sansepolcro from Perugia after the Sack of Rome and painted the Pietà in San Lorenzo (P.19). 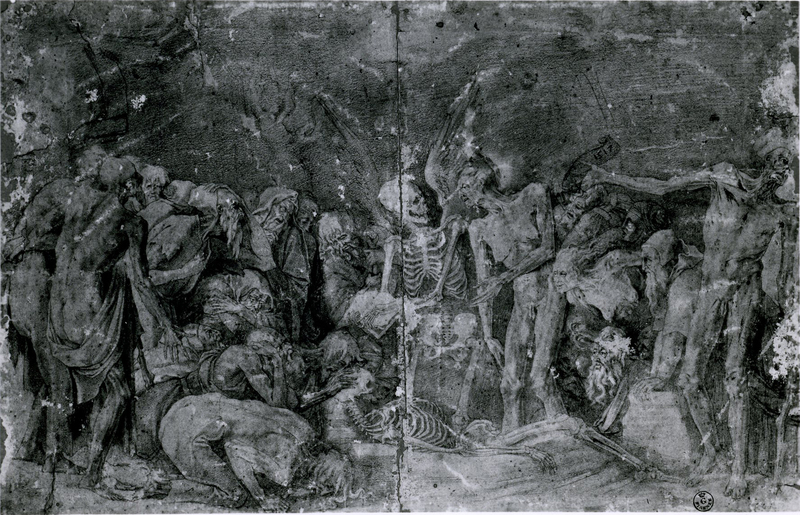 Kusenberg, 1931, 38, noted Vasari’s comment that Rosso studied from dead bodies. Kellett (1957, 329-330, and 1958, 6) translated Vasari’s passage as indicating that Rosso made “fine anatomical studies,” which, again according to Kellett, formed a “book of anatomical designs,” which he took to France where they were to serve as the models for the plates of a book on anatomy that Rosso planned to have printed there (see L.60). Mayor, 1984, 50, 94, accepted Kellett’s history. 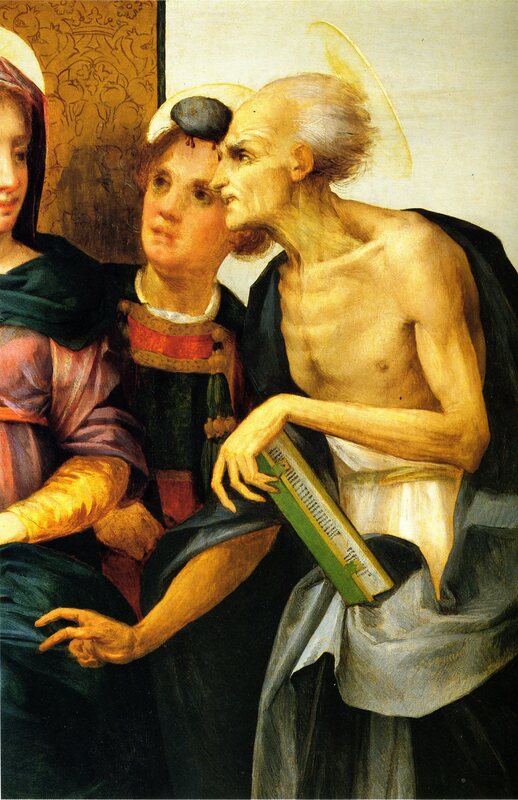 But Kornell, 1989, 842, questioned this connection, which Vasari himself had not made, adding that the word “notomia” or “anotomia” in the sixteenth century need not have meant a book of anatomy. She concluded that Vasari’s “una bellissima notomia” is probably a reference to a single finished drawing. She pointed out (846, and ns. 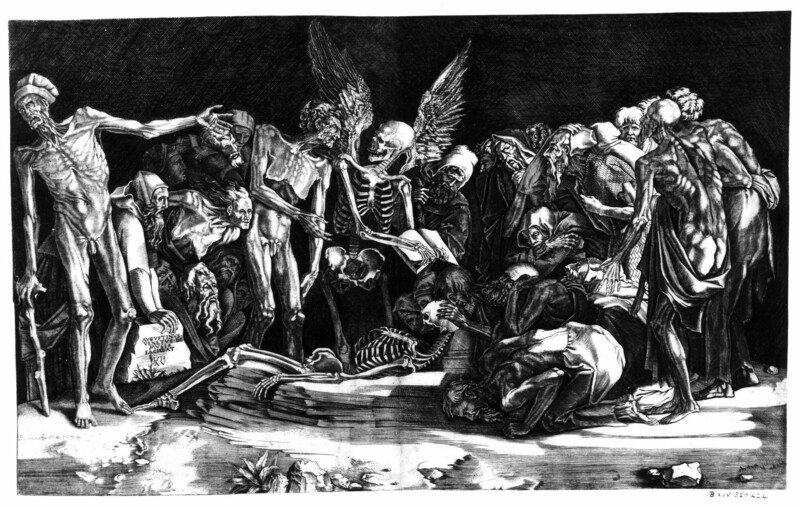 26 and 31) that Rosso’s Disputation of the Angel of Death and the Devil (Fig.D.1a), engraved by Agostino Veneziano (Fig.E.109a), was referred to by Vasari as “una notomia” and that Rosso’s Fury engraved by Caraglio (Fig.E.18a) was described as a “notomia secca.” Kornell thought that the Fury “may be a direct reflection of Rosso’s early anatomical experience, in parts seeming to be an écorché,” as had also been suggested by Franklin, 1988, 326, no. 8, and implied by Davis, 1988, 71. 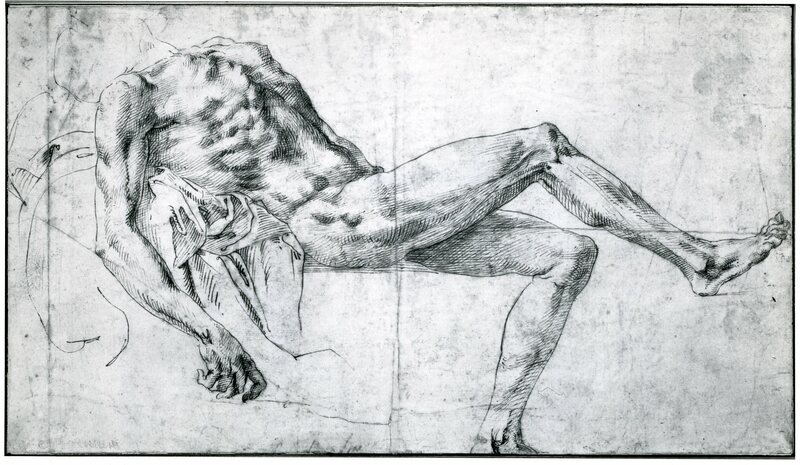 Franklin, 1988, 326, also thought Rosso’s study in the Albertina (Fig.D.26A) was made from a corpse. 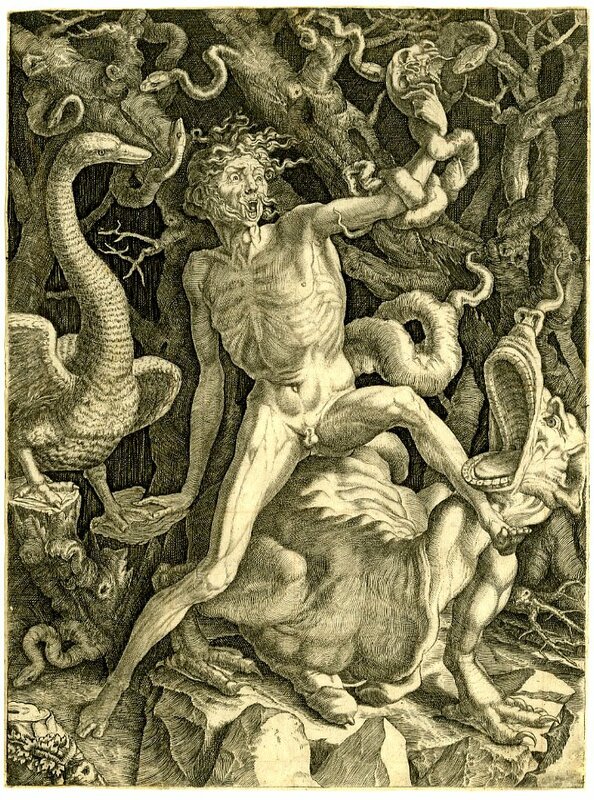 Ciardi and Mugnaini, 1991, 19-20, 52, recognized Rosso’s study of anatomy in the Disputation of the Angel of Death and the Devil, and in the figure of St. Jerome in the S. Maria Nuova Altarpiece (Fig.P.5f). Costamagna, 1994, 36, 95, ns. 21-24, discussed the modification of the human canon in Rosso’s S. Maria Nuova Altarpiece (and in his red chalk Disputation [D.1]) in the context of the hospital of S. Maria Nuova and its chiostro delle ossa and his study of cadavers and écorchés, suggesting that Buonafede, the director of the hospital who commissioned the altarpiece of 1518, encouraged Rosso to make dissections. 1 Mayor, 1984, 49-50, discussed a “book of bones and dissections” that Vasari owned around 1537 (not 1528, as Mayor thought; see Giorgio Vasari, 1981, 50) and had lent to Bartolommeo Rontini. Mayor thought this was a book of drawings of dissections by Vasari or other Florentine artists. Rosso could also have made such a book in his Italian years.